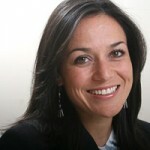 In many ways, the trucking industry is the poster child for Machine-to-Machine and the Internet of Things (IoT), which embrace the connectivity and exchange of data between assets, people and applications for better communication. By integrating trailer tracking technology into daily operations, a genuine way for the trucking sector to optimize resources, operational efficiency and profitability becomes a reality. GPS tracking allows fleet operators to locate trailers, containers and other assets on the move or while stationary at docks and yards. In addition, a comprehensive asset tracking solution can help carriers remotely monitor a wide range of conditions such as door openings, unscheduled stops, cargo status, idle time, fuel levels and more. Rapid technology development over the next five years will open up even more options to optimize logistics operations through live data and remote control and within ten years, we believe that M2M will dramatically change how transportation and logistics service providers make decisions. With data generated by telematics devices and IoT sensors, the hardware and solution possibilities are endless. So where do you start? A trailer telematics solution needs to be designed for quick and easy installation on trailers, containers, railcars and other transport assets. Check that devices can be conveniently configured and upgraded over the air. A solar powered trailer tracking solution is another feature that provides the benefits of hassle-free reporting with no battery changes and maintenance. Dry van and cold chain monitoring needs to fully integrate with custom and third-party dispatch and in cab systems (i.e. McLeod, TMW, PeopleNet) so comprehensive trailer telematics data and reports can be conveniently accessed from the dispatch system interface. A trailer tracking solution needs to extend on-the-go functionality to drivers and operators for complete for convenience and ease of use. Optional backup satellite connectivity ensures uninterrupted communications with drivers and transport assets in some of the most remote regions of the world. Satellite becomes a lifeline to drivers in remote areas where cellular is scarce and in the midst of natural disasters and harsh weather conditions that may compromise the cellular infrastructure and service. A trailer tracking solution needs to accommodate tracking, monitoring and control of dry and refrigerated assets. When choosing telematics technology, consider how the company may grow, expand or diversify in the future and consider those plans in the decision-making process. A comprehensive trailer management system makes it possible for carriers to seamlessly manage and control dry and refrigerated assets from a single platform. 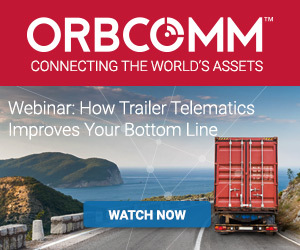 To learn more, watch our latest webinar: How Trailer Telematics Improves Your Bottom Line, contact us online or email us at sales@orbcomm.com.